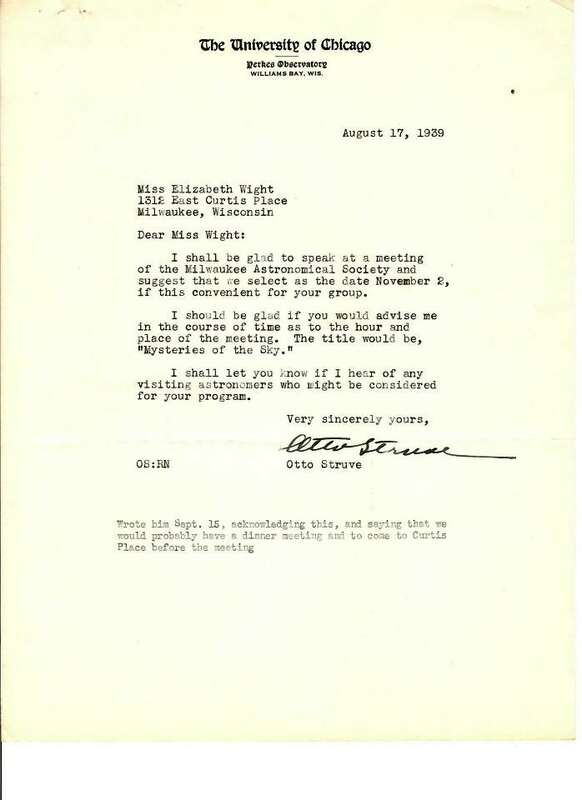 Letter from Otto Struve to Elizabeth Wight MAS VP. August 17, 1939. On Yerkes Observatory letterhead. 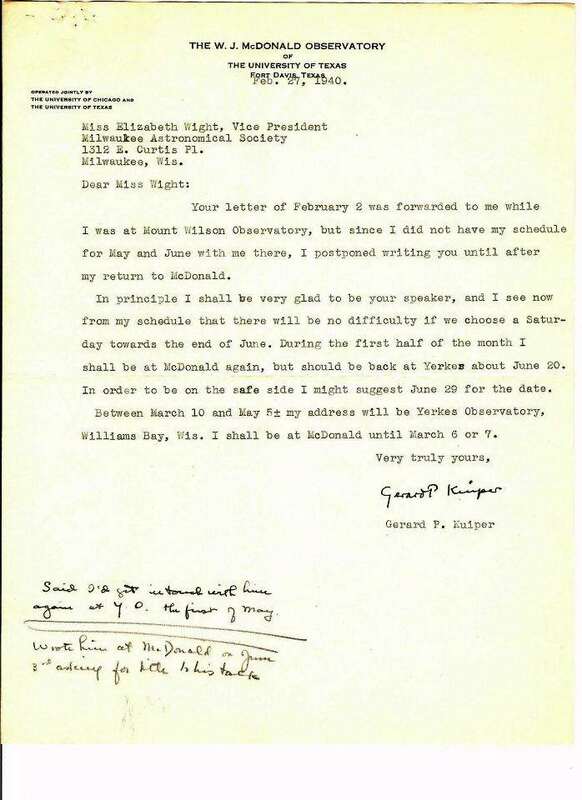 Letter from Gerard P. Kuiper to MAS VP Elizabeth Wight. 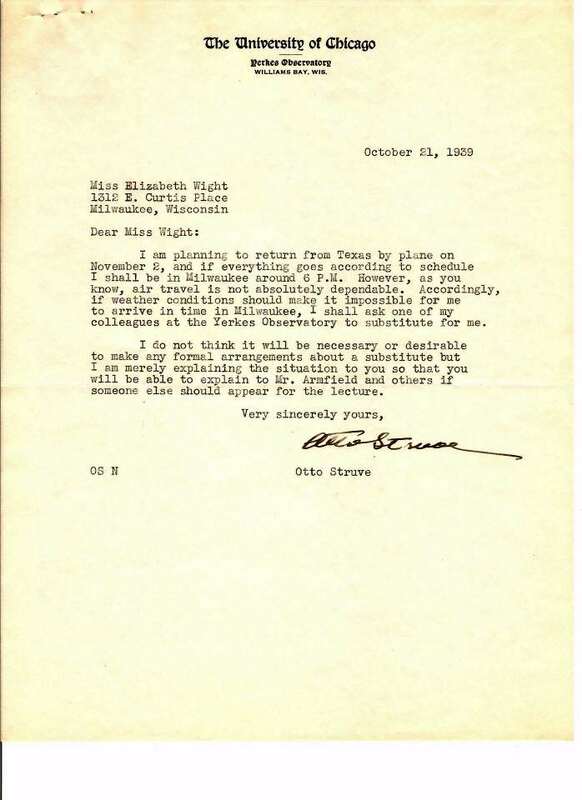 Letter Dated Feb 27, 1940 on McDonald Observatory Letterhead. 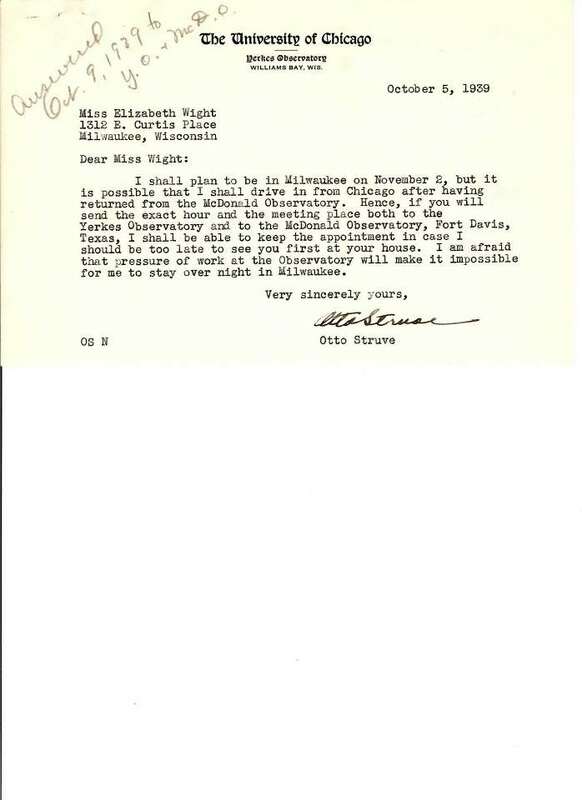 Letter from L.E. 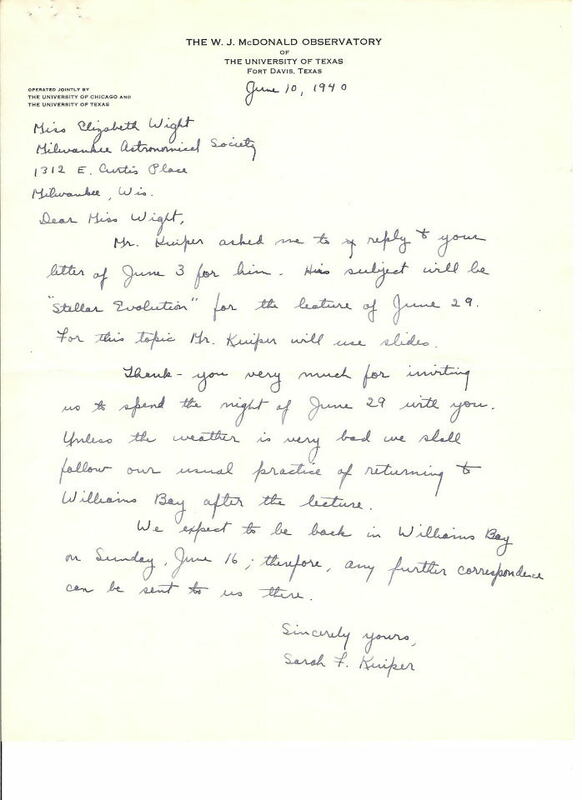 Armfield to the General Membership about a lecture given by Dr. B.R. Baumgardt at the Milwaukee Public Museum. 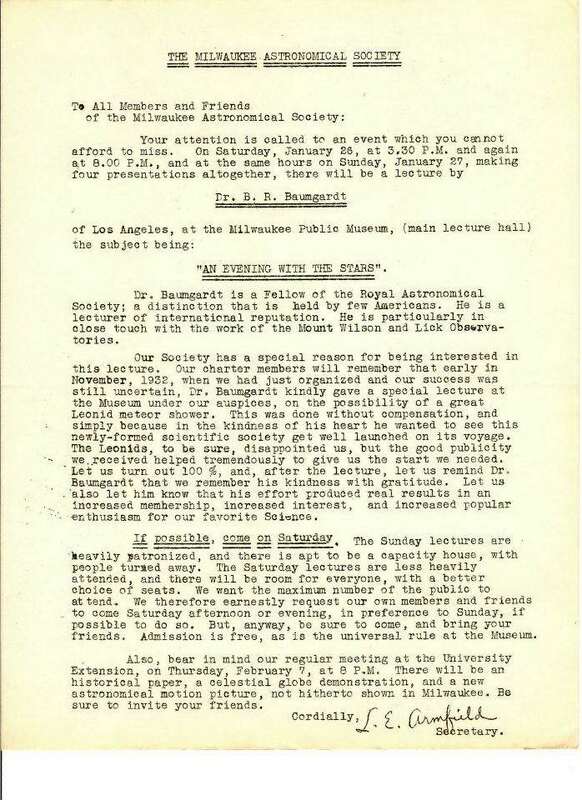 Newsletters of the MAS from January 1934 thru December 1935..
Journal of the AAAA - American Amateur Astronomical Association. The MAS Bulletin was incorporated within this publication. This is the organization founded by Luverne Armfield and headquartered in Milwaukee.